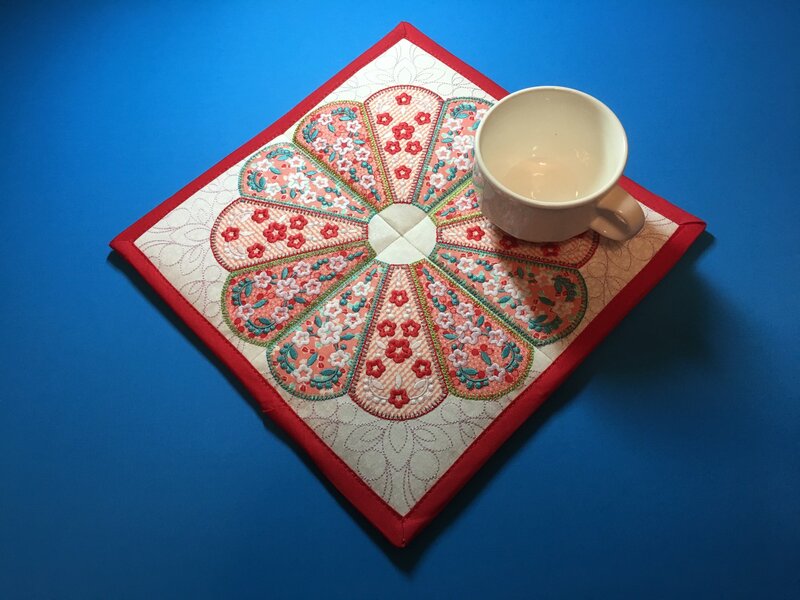 Enjoy creating this trivet, embellished with elegant Dresden designs. This trivet looks sophisticated and intricate – but this traditional quilting pattern has been created for embroidery to be will be fun and effortless. You’ll learn how to applique using your embroidery machine featuring two different techniques and two different stabilizers or 505 Adhesive spray. Hands on Skill Building workshops designed to teach you how to master a specific embroidery technique & gain an understanding of the stabilizers, threads and notions used to create the project. With each technique you will be adding a new sample to your Mastery Notebook. This notebook is designed to be a reference guide for you in the future, complete with Project directions, stabilizer information, specific machine adjustments, thread choices, notions and tools used to complete each project. You will go home with a completed project in each class. Anyone who owns an embroidery machine and has a desire to learn. All Brands of Embroidery Machines are welcome! You must have taken your Machine Instruction class & Embroidery Workshop before registering for the School Of Embroidery Mastery. To build your Mastery Notebook. To gain a complete knowledge of stabilizers. How and when to use which stabilizers and why you used them. To understand embroidery threads. To create beautiful embroidery projects while learning more about your embroidery machine. To get inspired and to inspire others to be creative.